Savvy Spending: Walgreens: Clear Care Cleaning & Disinfecting Contact Lens Solution Twin Pack for just $9! 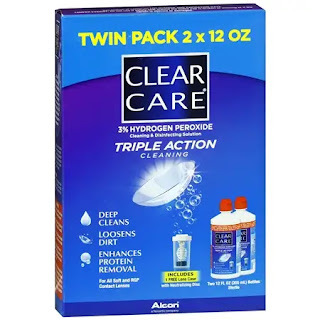 Walgreens: Clear Care Cleaning & Disinfecting Contact Lens Solution Twin Pack for just $9! Walgreens.com has 2-Pack 12oz. 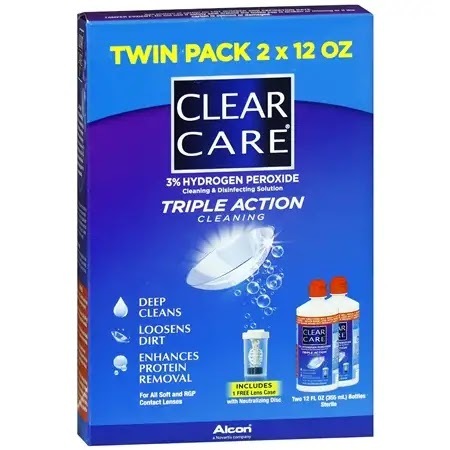 Clear Care Triple Action Cleaning & Disinfecting Contact Lens Solution on sale for $8.99 when you clip 2 coupons (one for $2 off and one for $3 off ). Then use code CYBER30 to save 30% off and choose in store pick up! You'll get this 2 pack for just $9 shipped to store! That makes each bottle only $4.50 each! Start at Top Cash Back for a bonus 4% cash back on your purchase! Note, must be logged into your Walgreens account to clip coupon. Availability for free ship to store may vary depending on location.